Dr. Sunil Hazari has been with Walden University for 20 years. He teaches various courses in the ISM program and this semester he is teaching the MGMT8550: Security and Risk Assessment course. 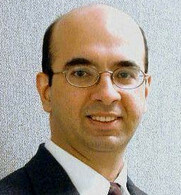 In addition, Dr. Hazari also mentors PhD students and serves on KAM/Dissertation committees. He is also qualified to serve as University Research Reviewer (URR). Dr. Hazari’s teaching and research interests are in the areas of information security, emerging technology, online learning, networking/telecommunications, web usability, digital marketing, and Web 2.0 technology applications. He has many peer-reviewed journal publications and has also presented at national conferences. Dr. Hazari serves on Editorial Board of several journals. Hazari, S., Richards, A. R. (2011). A qualitative study of adoption of social media for personal finance investing. Hazari, S., Hargrave, W., Clenney, B. (2008). An empirical investigation of factors influencing information security behavior. Journal of Information Privacy and Security. Hazari, S. (2014). A Qualitative Study of Adoption of Social Media for Personal Finance Investing..
Hazari, S. (2018). Transitioning Students from Content Consumers to Content Creators.